Uluru-Kata Tjuta National Park is known for nature, museums, outdoors, trails, and classes. Your plan includes some of its best attractions: explore the striking landscape at Uluru, take in the pleasant sights at Lungkata Walk, trek along Kuniya Walk, and get all the information you need at Uluru-Kata Tjuta Cultural Centre. To find photos and other tourist information, read our Uluru-Kata Tjuta National Park online vacation planner . Dar es Salaam, Tanzania to Uluru-Kata Tjuta National Park is an approximately 35-hour flight. You'll lose 6 hours traveling from Dar es Salaam to Uluru-Kata Tjuta National Park due to the time zone difference. Expect a bit cooler evenings in Uluru-Kata Tjuta National Park when traveling from Dar es Salaam in April, with lows around 17°C. Finish your sightseeing early on the 1st (Fri) so you can travel to Port Douglas. You'll visit kid-friendly attractions like Scuba & Snorkeling and Hartley's Crocodile Adventures. Spend the 4th (Mon) spotting exotic species with a safari tour. There's still lots to do: get to know the resident critters at Wildlife Habitat Port Douglas, kick back and relax at Four Mile Beach, do a tasting at Shannonvale Tropical Fruit Winery, and stroll through Wonga Beach. For maps, ratings, more things to do, and tourist information, you can read our Port Douglas holiday planner. Getting from Uluru-Kata Tjuta National Park to Port Douglas by combination of flight and shuttle takes about 6 hours. Other options: drive. Plan for a bit warmer temperatures traveling from Uluru-Kata Tjuta National Park in May, with highs in Port Douglas at 32°C and lows at 24°C. Finish up your sightseeing early on the 7th (Thu) so you can travel to Cape Tribulation. Family-friendly places like Thornton Beach and Cow Bay Beach will thrill your kids. Venture out of the city with trips to Daintree Discovery Centre (in Cow Bay) and Floravilla Ice Cream Factory (in Daintree). Spend the 10th (Sun) exploring nature at Daintree National Park. There's lots more to do: stroll through Myall Beach, explore and take pictures at Cape Trib Farm, take a peaceful walk through Daintree Rainforest - Cooper Creek Wilderness, and trek along Dubuji Boardwalk. To find more things to do and more tourist information, use the Cape Tribulation road trip site . Getting from Port Douglas to Cape Tribulation by combination of car and ferry takes about 2 hours. Other options: take a bus. In May, plan for daily highs up to 32°C, and evening lows to 24°C. Wrap up your sightseeing on the 12th (Tue) early enough to take a bus to Cairns. Family-friendly places like Scuba & Snorkeling and Ellis Beach will thrill your kids. Explore Cairns' surroundings by going to Palm Cove (Spas & Wellness & Palm Cove Beach) and Australian Butterfly Sanctuary (in Kuranda). Spend the 15th (Fri) wandering through the wild on a nature and wildlife tour. 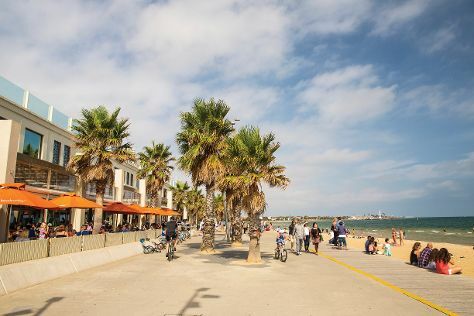 There's much more to do: kick back and relax at Trinity Beach, enjoy some diversion at Muddy's Playground, trek along Esplanade Boardwalk, and admire the natural beauty at Botanical Gardens. To find where to stay, traveler tips, photos, and tourist information, refer to the Cairns trip planner. You can take a bus from Cape Tribulation to Cairns in 3.5 hours. Alternatively, you can drive. In May, daily temperatures in Cairns can reach 32°C, while at night they dip to 24°C. Finish your sightseeing early on the 18th (Mon) to allow enough time to travel to Fraser Island. Family-friendly places like Seventy-Five Mile Beach and Indian Head will thrill your kids. For where to stay, more things to do, other places to visit, and other tourist information, refer to the Fraser Island day trip planning site . You can do a combination of flight, ferry, and car from Cairns to Fraser Island in 10.5 hours. Other options are to do a combination of train, ferry, and car; or do a combination of bus, ferry, and car. Wrap up your sightseeing on the 23rd (Sat) early enough to travel to Lord Howe Island. Family-friendly places like Ned's Beach and Lagoon Beach will thrill your kids. 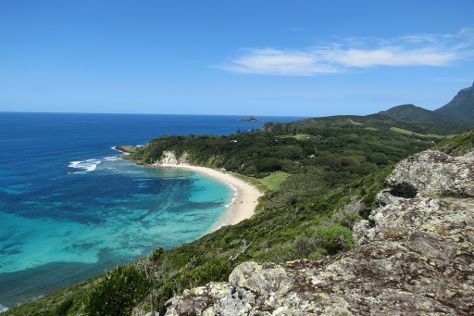 There's still lots to do: take a tour by water with Boat Tours & Water Sports, see the interesting displays at Lord Howe Island Museum, take your sightseeing to a higher altitude at Mt Gower, and hike along Lord Howe Island Walking Trails. To see more things to do, where to stay, photos, and more tourist information, use the Lord Howe Island trip itinerary website . You can do a combination of car, ferry, and flight from Fraser Island to Lord Howe Island in 12.5 hours. Cap off your sightseeing on the 26th (Tue) early enough to travel to Sydney. 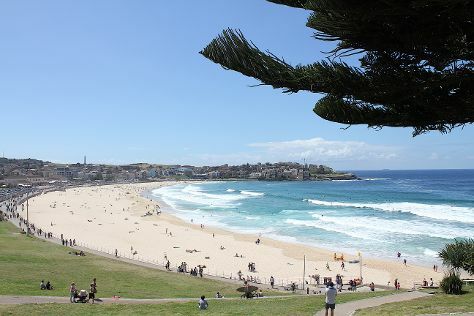 Attractions like Bondi Beach and Clovelly Beach make great kid-friendly stops. When in Sydney, make a side trip to see Shelly Beach in Manly, approximately 36 minutes away. There's still lots to do: see a show at Sydney Opera House, wander the streets of The Rocks, admire the natural beauty at Royal Botanic Garden Sydney, and meet the residents at Sea Life Sydney Aquarium. To see photos, traveler tips, ratings, and tourist information, go to the Sydney trip itinerary builder website . You can fly from Lord Howe Island to Sydney in 3.5 hours. In May, daytime highs in Sydney are 24°C, while nighttime lows are 14°C. Wrap up your sightseeing on the 1st (Mon) early enough to travel to Melbourne. Attractions like Melbourne Zoo and Eureka Skydeck 88 make great kid-friendly stops. Change things up with a short trip to Werribee Open Range Zoo in Werribee (about 42 minutes away). And it doesn't end there: take in nature's colorful creations at Royal Botanic Gardens, admire the masterpieces at National Gallery of Victoria, contemplate the long history of Old Melbourne Gaol, and enjoy the sand and surf at St. Kilda Beach. To see maps, other places to visit, traveler tips, and other tourist information, use the Melbourne online trip maker . Traveling by flight from Sydney to Melbourne takes 3.5 hours. Alternatively, you can do a combination of flight and shuttle; or drive. Traveling from Sydney in June, things will get little chillier in Melbourne: highs are around 16°C and lows about 6°C. Wrap up your sightseeing on the 8th (Mon) to allow time to travel back home.